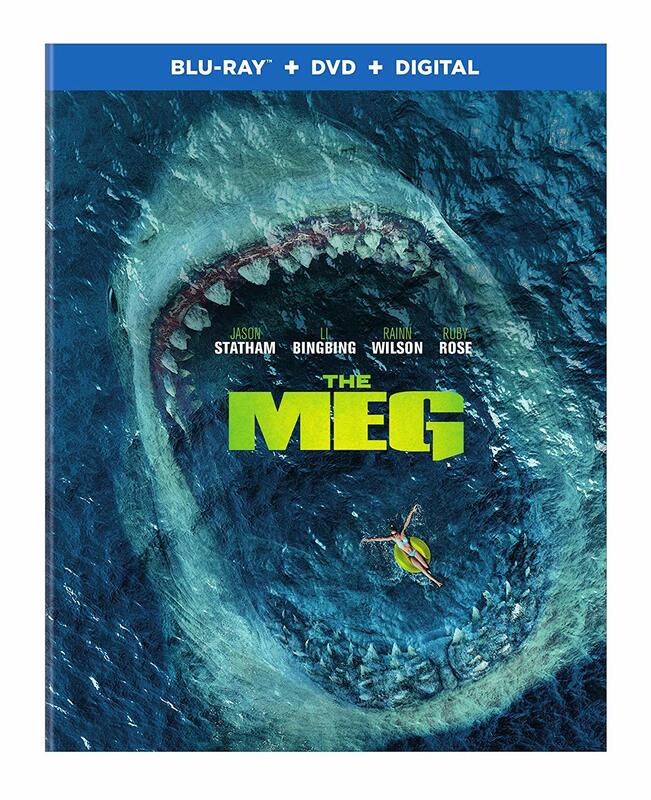 It’s getting cold now, but when you’re bundled up inside you can return to the summer fun of The Meg now on home video. The killer shark movie will take you back to the open ocean, the beach and Jason Statham’s ripped abs. On Blu-ray, the open ocean looks bright and gorgeous. Even underwater is perfectly clear with fluorescent creatures and vegetation. You can see all the detail of the ocean floor and the texture of the Meg itself. 12 minutes behind the scenes covers all the water issues quickly. They clearly appreciate the majesty of Jason Statham. Green screen must have prevented many future Waterworlds because they can shoot in tanks with less vulnerability to the elements. 10 more minutes on creating the Meg will make you appreciate all the sealife details the visual effects brought to the shark. Two min for the New Zealand Film commission shows the whole cast and crew were fans of the location.